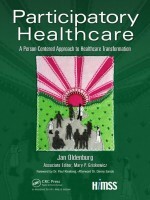 This book is written through the lens of patients, caregivers, healthcare representatives and families, highlighting new models of interaction between providers and patients and what people would like in their healthcare experience. 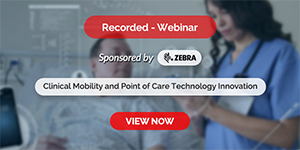 It will envision a new kind of healthcare system that recommends on how/why providers must connect to patients and families using HIT, as well as suggestions about new kinds of HIT capabilities and how they would redesign systems of care if they could. The book will emphasize best practices, and case studies, drawing conclusions about new models of care from the stories and input of patients and their families reinforced with clinical research. Participatory Healthcare: A Person-Centred Approach To Healthcare Transformation includes a brief history of collaborative care, shared decision making, patient-centred care, and patient engagement, discusses the way primary care would look if we were really building it around the needs of patients and caregivers, describes the opportunities to build inpatient care to better accommodate the needs of patients and caregivers, highlights the consumerism movement and how consumers are taking the reins to create capabilities and tools that fit their needs and convenes programs in health systems that are working today and why they are working.